The Men’s and Women’s Open Big Ball and Men’s Small Ball singles headlined play on Friday at the 2015 World Handball Championships in Calgary, with players from New York, Washington State, and Ireland vying to become world champions. The Men’s Big Ball Open Singles featured defending world champion and top seed Tywan Cook facing New York City rival Andres “Playstation” Calle in the upper bracket and second seeded and current 1-Wall Big Ball “King of the Court” Timbo Gonzalez facing all-code handball star Billy O’Donnell. Tywan Cook encountered little resistance in his quest to defend his world title, holding off a late Calles rally in game two to advance to the final, 21-11, 21-12. Timbo Gonzalez had little difficulty adjusting to O’Donnell’s hybrid style, crushing “The Bus” in game one, 21-4. Game two was more of the same, as Gonzalez controlled the action and cruised to the final, 21-6. Cook and Gonzalez will renew their friendly rival in the final, with both players aiming for handball immortality on the world stage. In the Women’s Big Ball Open Singles, top-seeded Danielle Daskalakis faced Irish 1-Wall star Lorraine Havern, while second-seeded and current Big Ball national champion Sandy Ng faced WR48 Player’s Champion and top-ranked star Catriona Casey in two blockbuster semifinal match-ups. Daskalakis surged to a one-game lead against the former Irish 1-Wall Senior champion, yielding just nine points to her adversary in a 19-minute first frame. Daskalakis continued to apply pressure in game two, building a sizable lead and withstanding a Havern rally in the second half of the second game to advance to the final, 21-9, 21-13. The Men’s Small Ball Open Singles featured shocking quarterfinal upsets and outrageously exciting matches on Thursday, as the top two seeds were eliminated. When the dust settled after three quarterfinal tiebreakers, New York’s left-handed comeback junior legend Victor Lopierre faced New York’s veteran legend Willie Polanco in the upper bracket, while WPH R48 Player’s Champion and 3-Wall Xrossover Champion Sean Lenning faced the ageless 2009 1-Wall world champion Joe Kaplan. In just his second 1-Wall small ball open start in five years, Sean Lenning overcame a first game defeat to Joe Kaplan to score 32 of the next 37 points in the match, including a sensational 21-0 thrashing of the 2009 world champion in game two. 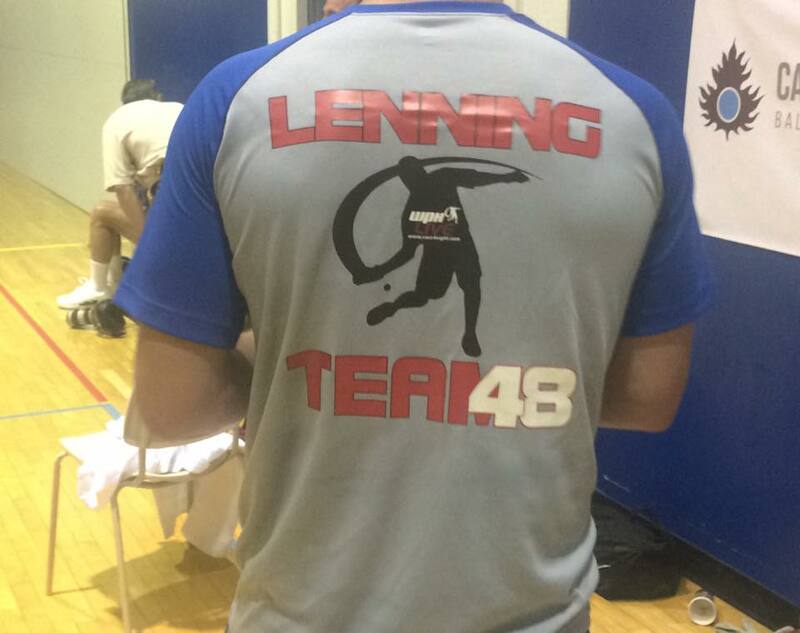 Lenning will try to add the 1-Wall World Small Ball Championship to his 2015 4-Wall WPH R48 Player’s Championship and 2015 3-Wall WPH Xrossover Championship. Best season ever? You decide. “Sean played very well,” says his Saturday final’s competitor, Vic LoPierre. “His serve is exceptional.” LoPierre and Lenning are both making their first major singles final at the worlds. “The four wall and 3 wall guys that play small ball year round have such control with the ball,” claims the comeback kid, Vic Lopierre, as he gets set for Saturday’s final.